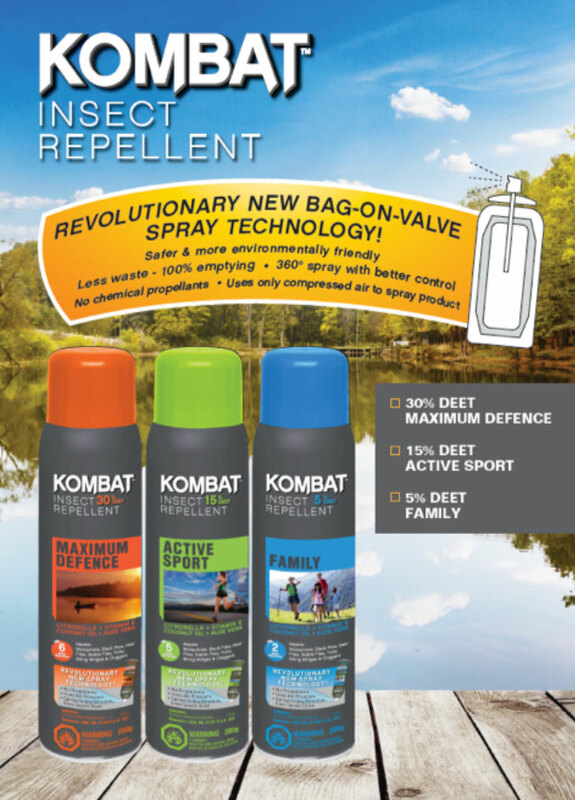 Kombat Repellent - Novella Brands Inc.
Kombat repellents are the fastest growing repellent brand in Canada. Our superior DEET based formulas contain natural ingredients including aloe vera, vitamin E, coconut oil and citronella fragrance. Our formulas provide long lasting protection against mosquitos and other insects, including black flies, biting midges, deer flies, ticks, stable flies and chiggers. For more information please visit the Kombat Repellents website. Copyright © 2017 Novella Brands Inc. All rights reserved.